The turbulent life of Vincent van Gogh is a constant source of inspiration and intrigue for artists and art lovers. 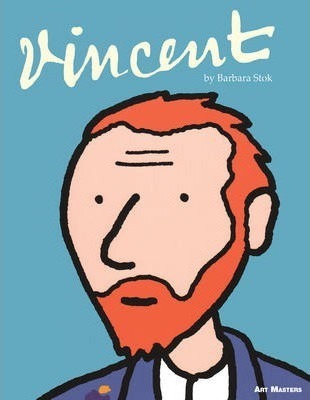 In this beautiful graphic biography, artist and writer Barbara Stok documents the brief and intense period of creativity Van Gogh spent in Arles, Provence. Away from Paris, Van Gogh falls in love with the landscape and light of the south of France. He dreams of setting up an artists' studio in Arles - somewhere for him and his friends to paint together. But attacks of mental illness leave the painter confused and disorientated. When his friend and fellow artist Paul Gauguin refuses to reside permanently at the Yellow House, Van Gogh cuts off part of his ear. The most notorious event of art history has happened - and Van Gogh's dreams are left in tatters. However, throughout this period of intense emotion and hardship, Vincent's brother Theo stands by him, offering constant and unconditional support. Stok has succeeded in breathing new life into one of the most fascinating episodes of art history. Barbara Stok is well known for her candid autobiographical graphic novels. In 2009, she was awarded the Stripschapprijs for her oeuvre, one of the most prestigious prizes for comic books in the Netherlands. In addition to her work for newspapers and magazines, she has eight books to her name.